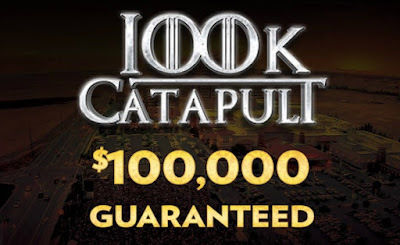 The first of five starting flights is off and running in the $160 Catapult with a $100,000 Guarantee. 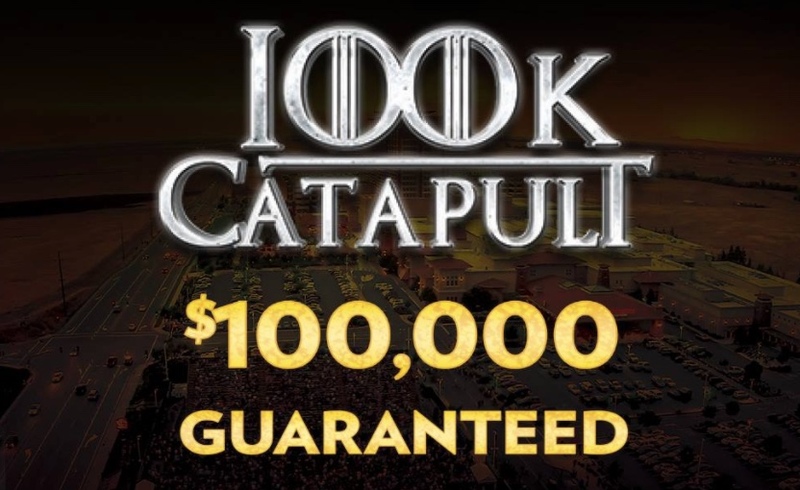 Yes, you read that right, a $100,000 Guarantee for a $160 buy-in, and here's how it works. Players begin with 12,000 stacks and play 20-minute levels during the six levels of registration, moving to 30-minutes after that. Registration and a single re-entry per player, per flight, is available until the start of Level 7 at 8:15pm. 10 percents of the starting field cashes tonight for $300. The final 8 percent of the field bag-n-tags to comes back Friday at 6pm for play down to a winner. Players who Bag-a-Stack more than once play their largest bag and cash out their smallest bag(s) as a Day 2 mincash. The two alagest field-size tournaments in northern California/northern Nevada history have been two versions of the Catapult, so expect big numbers to come from this Event 1 in the WPTDeepStacks series.